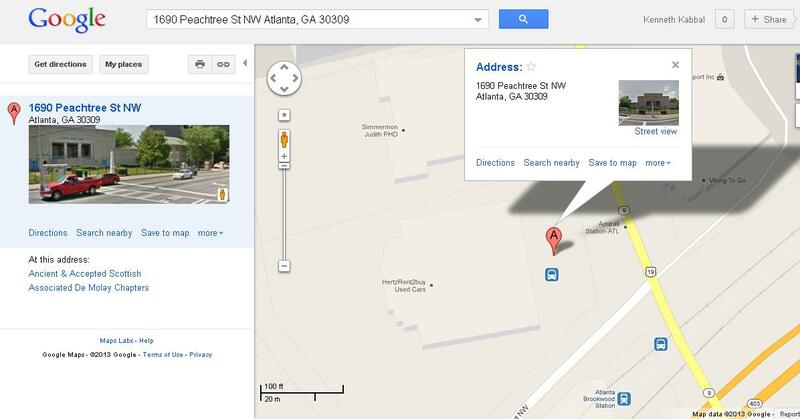 One evening near Midtown Atlanta, I was traveling on foot (as it is my rightful place to hoof around the city as a cart pulling donkey (further explanation below)), I walked past a very peculiar building on Peachtree St.
1690 Peachtree St NW Atlanta, GA 30309 to be exact. A grand building, almost castle-like in appearance, comprised of arcane stone and shrouded in symbolism. The placement of an Egyptian-esque obelisk with extraordinary height also catches the eye, a centerpiece placed up front on a well-manicured front lawn. Two signs are prominently showcased here as well, “Scottish Rite” & “York Rite” which was an odd addition to this arrangement for sure. The overall main design element, both captivating and particularly paralyzing, is distracting to say the least, with a heavy emphasis of attention placed this; a large window-less building. Ummm, given the property’s prime location within the swanky part of Midtown Atlanta, having absolutely zero windows is a rather desperate attempt for privacy from the general public. A bold choice to make for such an architectural marvel, which demonstrates obvious displays of class distinction, in addition to social mystique and collective disregard. 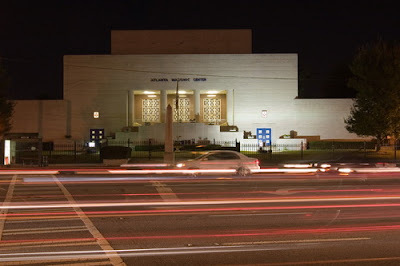 Under its “official” label, the Scottish Rite of Freemasonry maintain diligent operations within similar lodges scattered across nearly every state of America. The Freemasonry establishment, having multiple fractions networking on a global scale, is a deeply rooted fraternity broadcasting a legacy of brotherhood since the 1200s (boys’ only club, with one exception). Their legacy, smeared with conjecture, would ultimately prove their necessity for buildings made of window-less stone. Freemasons, operating under a whirlwind of Judeo-Christian practices, is a disguise meant to derail your perception of true and ruthless origins. Stemming from the ideologies of the “holy” Knights Templar, the very enthusiastic agents of destruction during the “holy” Crusades, legitimized “taking up the sword” for the sake of preserving Christianity. The fact of many recruited citizens, desperate and impoverished, joined the Knights Templar Order was predicated on a guarantee of having their sins magically absolved by the powers of priests and popes of the time. An expected gesture to symbolize their commitment for the Crusades cause was by committing an (try not to laugh, try not to laugh, try not to laugh) oath of poverty. Although, not all Knights threw themselves into the drenches of battle, a large fraction remained well behind enemy lines as bankers and financiers, exceeding their needs for funding their path toward 'righteousness'. 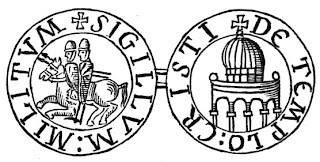 The Knights Templar amassed tremendous wealth through various tax exemptions, donated land and property, in addition to becoming very tactical loan-sharks. 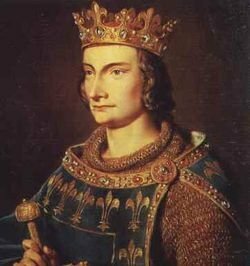 Their overall production came to an abrupt halt as King Philip IV of France (who was already upside-down indebted to the Knights) was super-pissed as he was denied additional EZ-money loans to fund his campaigns. 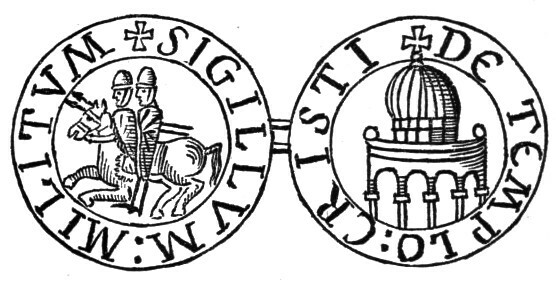 King Philip demanded the immediate destruction of the Templar’s infrastructure. Templar activity, once kept in secret behind cathedral walls, were beginning to surface, tales of idol worship, avarice, and homosexual acts were reoccurring themes portrayed by insiders. All Templar sympathizers were tortured, burned at the stake and/or excommunicated upon processing, which led to their mass exodus to Scotland. They sought refuge within the Stonemason guild during Scotland’s turbulent battle with England during the 14th century. This guild was regarded as the upper social strata of the land, as they adopted even more clandestine operations, acquired ritualistic knowledge within astrology/numerology, Contemporary Jewish mysticism (Kabbalah), Egyptian adaptations and (ta-da) mass-profiteering. Obviously, they were in need of a collective name change, launching the genesis of the affiliation we all know and don’t know in a paradoxical form: The Freemasons. Again, another rich boy club with intercontinental access courting Luciferian symbolism; what they lack in brutality is compounded by their secrecy. 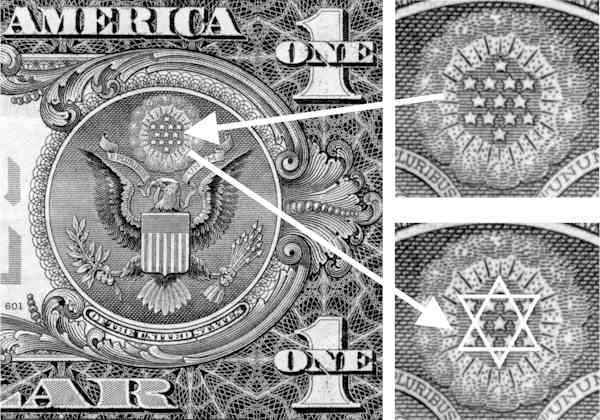 all the Masonic associations owe to it [the Kabbalah] their Secrets and their symbols." 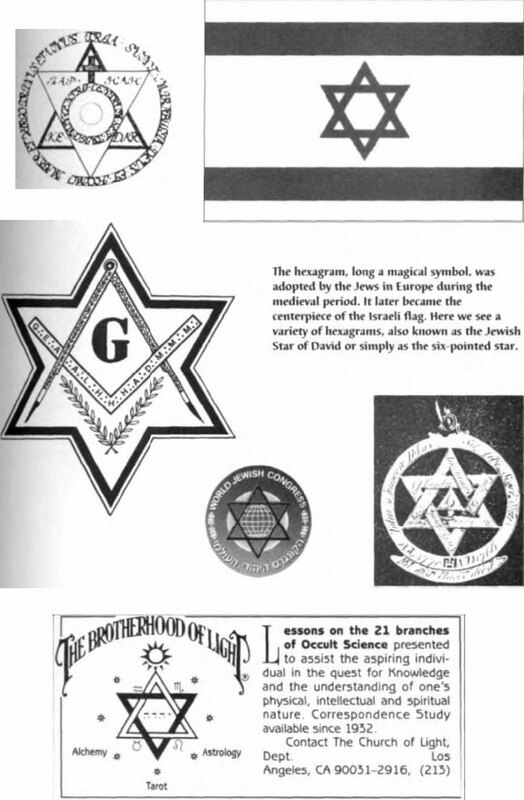 "Freemasonry is a Jewish establishment, whose history, grades, official appointments, passwords, and explanations are Jewish from beginning to end." Influence and infiltration is far reaching, as they cling with the same ideological societies within Christianity and Judaism, particularly with their availability pool of new recruits. 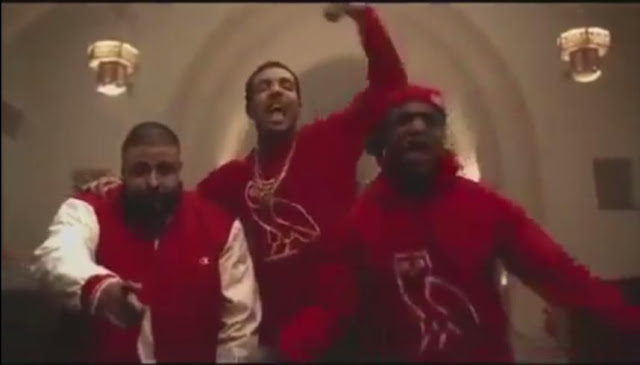 Such symbolism that ranks high in “Creep Factor” is reflected in many coat of arms for college fraternities. A consortium of Judeo-Christian subscribers who are able to keep GameMaster social circles firmly intact, completing many rites of passage handing privilege and access onto generations forthcoming. Thus by joining clubs such as Phi Kappa Sigma and Alpha Epsilon Pi. 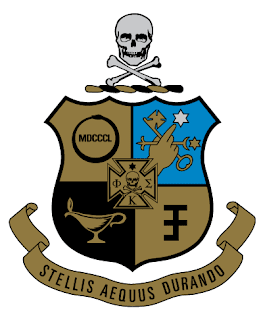 Another international all-male college secret and social fraternity unofficially known as the "Skulls" and sometimes "Skullhouse". A fraternal front to pose the concept of promoting leadership skills, entrusting future subscribers to become progressive (again, trying not to laugh) “Men of Honor”. 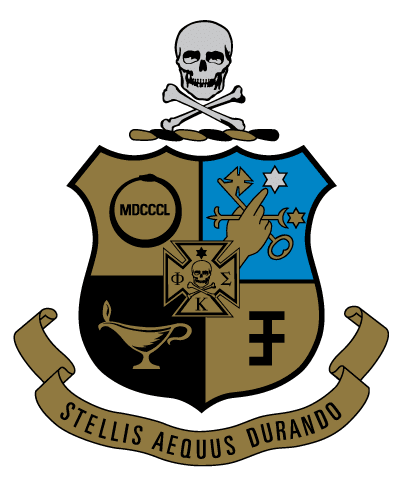 Ranking high in Creep Factor (and frankly a wakeup call to the rest of society) is the fraternity’s coat of arms. Yes, we have seen the use of both the skull and bones and specifically the Maltese cross throughout the pages of history; however, it’s the connective thread that reminds us of hidden intent and inner ideologies. This, in part, when GameMaster symbolism of death and destruction is entangled with concepts of pride, nobility, and caricature. Their coat of arms display a short list of cryptic symbolism, including the Star of David placed within a menorah (a 6-pointed figure, with 6-lines and 6-triangles), there is the rampant lion is also symbol of royalty and a “Lamp of Knowledge & Divine Wisdom. Noted as well is the skull or “death’s head” placed on a holy book, symbolizing mortality, which, I can safely presume, one’s mortality can heavily be influenced based on admission within this selective group. Having 10,000 members in 155 chapters in the US, Canada, the UK and Israel, who would also admit some non-Jews who adopt its "purpose and values". Such members including CNN’s Wolf Blitzer reporting international news from “The Situation Room” (yeah, prefabricated situations that are prepped well in advance…). Recruitment and influence have been a grandstanding tools of the trade for these guilds overall. 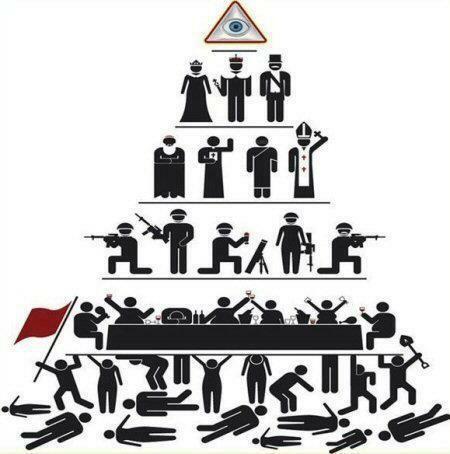 All of which perpetuate both Masonic and Modern Methods of Mind-Lock to thrive independently and report to the upper echelons. A group that remains hidden in plain sight that maintains order in this chaos, to keep humanity on course with a grand plan, to break our will and aspirations just as similar to the persistence of breaking a horse for a grand Dressage event. Infil-traitors with their intent to double-cross remains all around us, yet mum’s the word as these spinning plates of public deception begin crash to the ground in sequence. The influence has the markings of a warning shot in the dark, broadcasting/transmitting its message across our oversaturated media. Luciferian symbolism is used to showcase GameMaster allegiance and pride in their artistic decent. The Owl of Wisdom has been placed on seals of the “Illuminati”: two of three known to still exist. P.M.C.V. stands for Per Me Caeci Vident (Through me the blind become sighted). 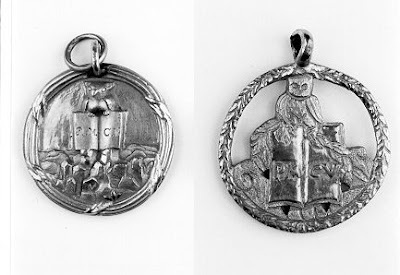 An owl holding an opened book (signifying learning), surrounded by a Laurel wreath (a symbol of learning or graduation); Per Me Caeci Vident was a reminder to the Superiors of the class, whose responsibility it was to properly instruct the next generation. Now its time for some audience participation. 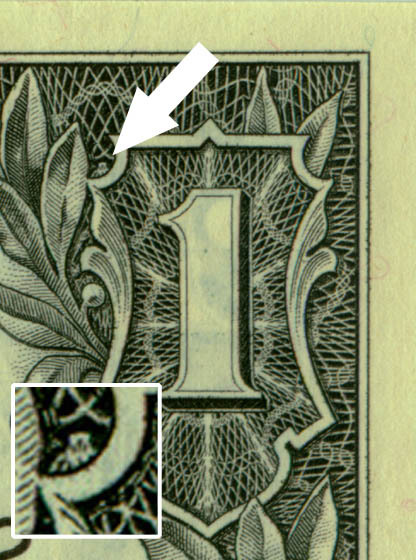 Do me a favor and grab a 1-Dollar bill, if you don’t have one to spare, I’ll place one on screen. 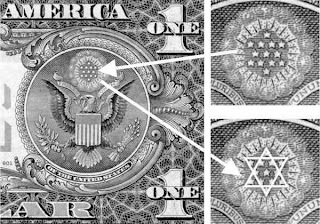 Flip the dollar over, the All Seeing Eye (The Eye of Providence) and the Great Pyramid are tell-tell signs. I want to place emphasis on the cluster of stars placed above the bald eagle’s head. Feel free to connect the dots using the outline listed below. 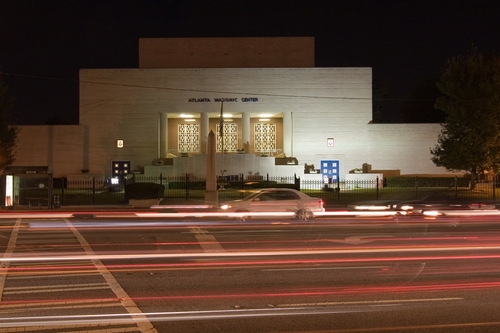 Within the Freemason temple, you gain “degrees” over time as a type of ranking system or hierarchy. The highest degree that is achieved is the 33rd degree, a coveted position of power and access achieved by few. Little data is publicly available in regards to Freemason fascination with 33, some suspect is focuses on spiritual consciousness dating back to ancient Egypt and Atlantis. Who knows, which of course leads to murky speculation, which of course can be a divisive ploy, broadcasting disinformation to maintain generational distance from probing outsiders. Hmmmm, "Stone Walls, No Windows", totally makes sense. I have a hunch; take 1st #3 and reverse it, you’ll get a perfect mirror image. Given the Masonic attraction to contrasts/opposites with “As above, so below” sentiment, I applied it to this integer. 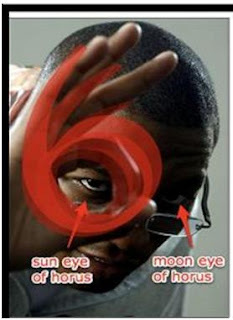 Now merge the two digits and an 8 is formed. Turn it on its side and you get infinity. A complex system of communication has been long time established, allowing members, ranging from enthusiastic rookies to deceptively high ranking masters, to display their allegiance. Symbols that can be pronounced in varying exaggerations as they take great honor using secret social codes right in front of our faces. It’s a game to throw in as many gang signs in front of pre-arranged cameras. Ultimately, levels of human brutality have taken form as idol worship for those engaged within these fraternities. 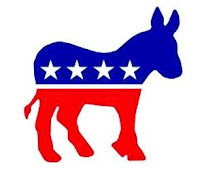 An extreme that seems to be foreign practices for most during our human experience, there are members of a certain social strata who accept elements of evil as mere entertainment amongst pawns, amongst the lower class, amongst the cattle and donkeys. “The only devils in this world are those running around inside your own hearts, and that is where all our battles should be fought." Truth be told, the devil, Satan himself, is in a constant state of worship in these modern times. However, it is the personification of Satan that dwells inside mongers of war and profiteering. It is the personification of accepting a mindset to commit evil as a daily burden in order to achieve a twisted perception of greatness and stature that keeps this Superstructure intact. 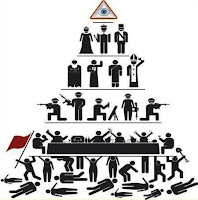 A connective thread between the murderous society of the centuries old Knights Templar and the deceptive integration of modern Masonic influence that should echo elements of unrest for those of us still alive and conscience. (to hear, to see, to remain silent). (Whom virtue has united, death shall not separate). (It is the glory of God to conceal a thing). This, being the highest degree of Creep Factor; observing such human engineering to ensure these events, these spinning plates, these holy Crusades, as a balancing act soon to make its ultimate grand finale on the world’s stage. 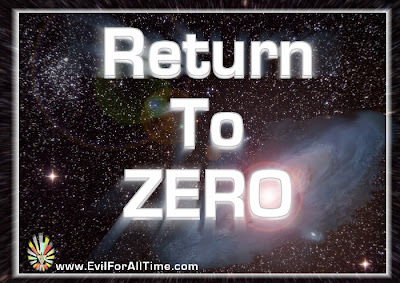 Who knows, like another catastrophic and catalyzing event may be on the horizon––like a new Pearl Harbor. Truly, a fraternal act shrouded in mystery to disguise criminal intent with murderous lack of consciousness. All of which can be classified as social disregard, as Evil-For All Time.